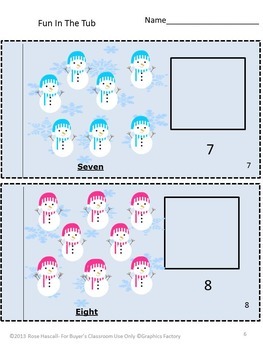 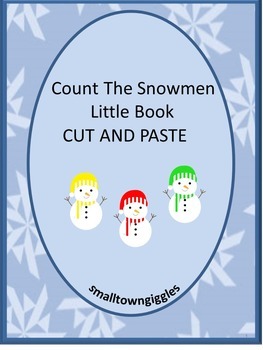 This printable snowman themed little book will help the students practice their winter math counting skills. 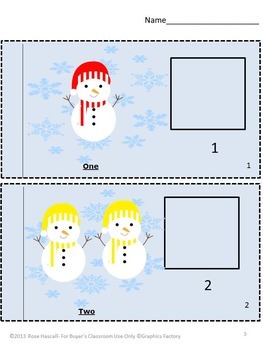 These cut and paste math activities work well for preschool, kindergarten, ESL, speech and language therapy, special education and students with autism. 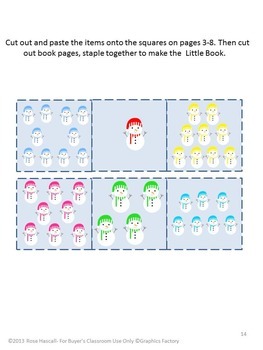 Click here for more math activities.